Welcome to another What Joey Wore Style post. 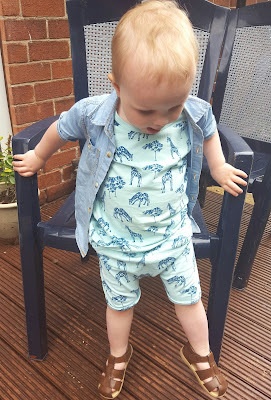 The weather has really been off and on over the past week so we only have one outfit to show you which is a bit of a repeat from last week but I love it. Monday had the best weather of the week, it was so warm. He wore the shorts part of this set last week so I thought I would put him in the set. I really love the giraffe print and the overall blue colour, it looks and feels cool. The denim shirt was part of a set I'd got last summer but he only wore it once so I kept hold of it, it goes so well with the outfit and the leather sandals finish the outfit perfectly. 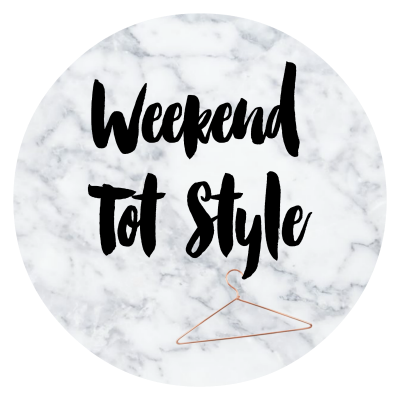 As always we're linking up with This Mama Life & Clearly Bex for Weekend Tot Style. 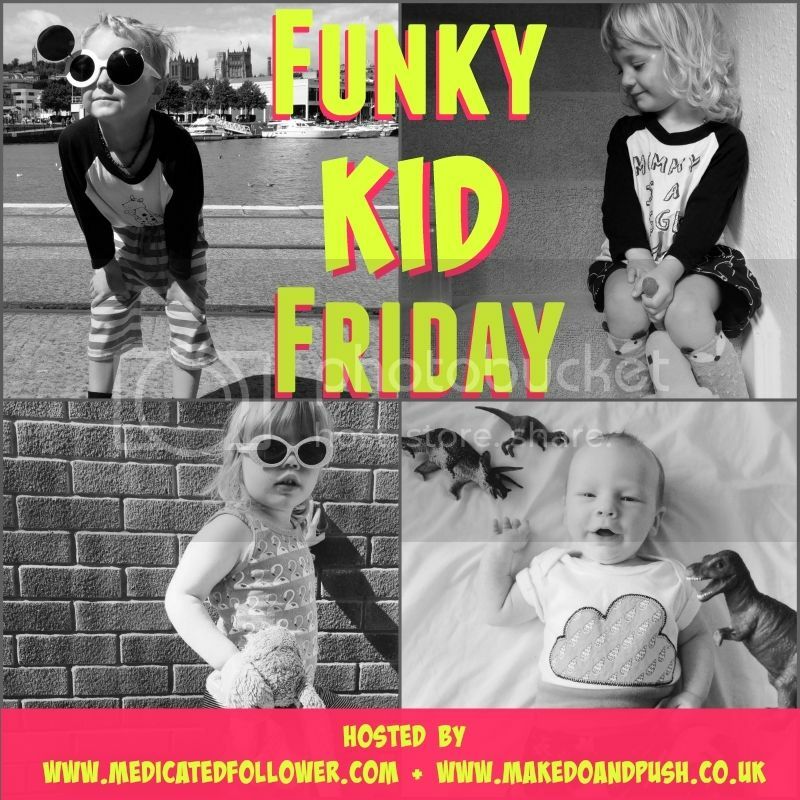 Also linking up with Made do and Push for Funky Kid Friday. 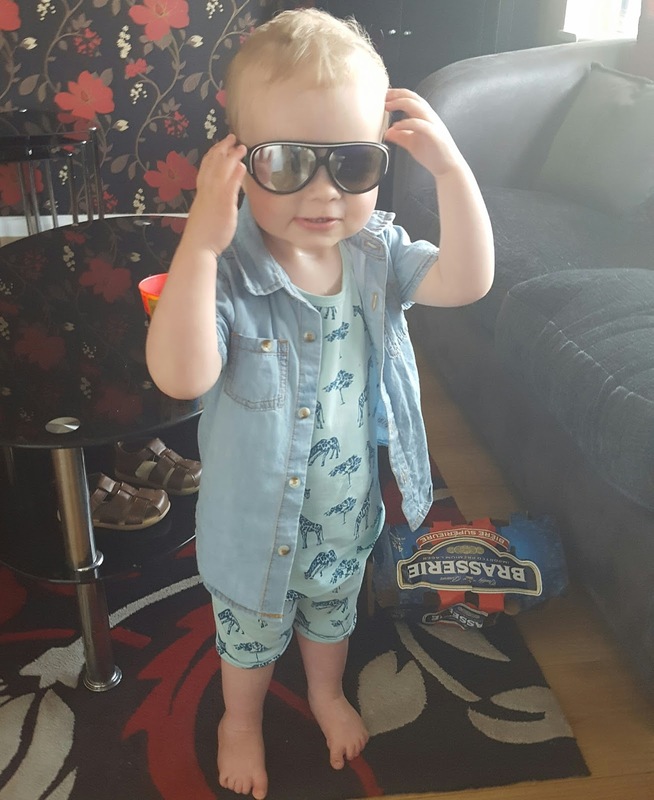 Looking forward to seeing everyone's link ups. 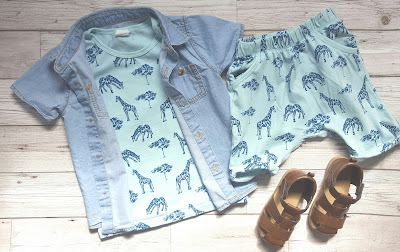 I have the vest for one of mine but I love the shorts too, I will have to look out for them!